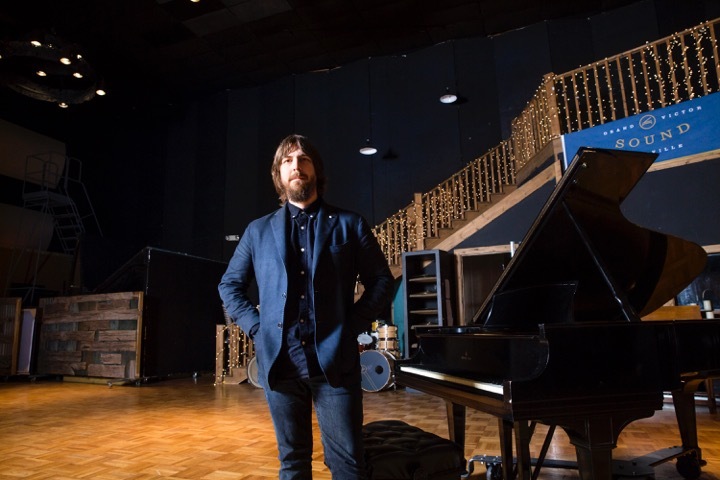 Dave Cobb grew up in Savannah, Georgia with a family that was equal parts musical and religious. And in both realms, they were heavily traditional. Cobb moved to Atlanta as a teen, where his musical horizons expanded vastly. He began to edge into the studio culture there, doing session work with hip–hop and pop hitmaker Dallas Austin. But it was heading to LA in pursuit of a rock career that ultimately led Cobb to Nashville, where his current status is that of Americana’s leading record producer. Despite taking the long way to Nashville, he seems to have made all the correct turns. Cobb's work with his holy trinity of artists — Chris Stapleton, Sturgill Simpson, and Jason Isbell — earned him and two of those performers Grammy Awards in 2016. Chris Stapleton's Traveller won Best Country Album, and Jason Isbell's Something More Than Free won Best Americana Album. But even Cobb couldn’t have imagined himself as producer–in–residence at RCA Studio A in Nashville. This is the recording studio established by Chet Atkins and Owen Bradley, the two most iconic producers the town has ever produced. 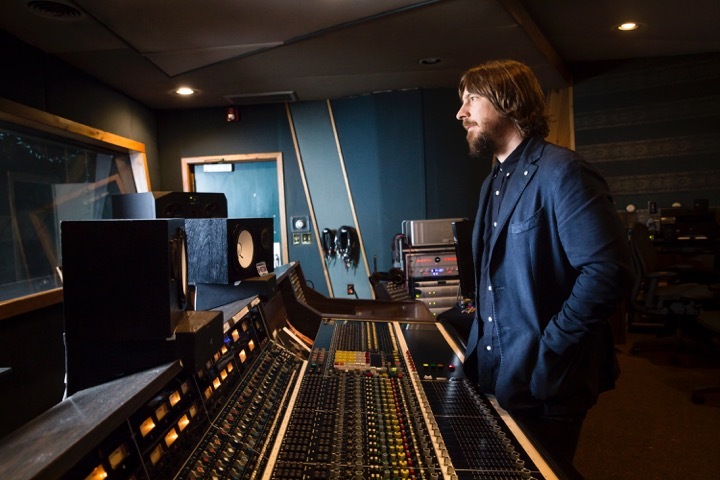 Surrounded by vintage recording gear — a combination of the studio’s and his own — alongside his own stellar guitar and amp collection, Cobb has become the most successful record producer of the moment in a town that reveres producers more than most. Reverb caught up with Cobb in Studio A’s control room. You're a drummer, you're a guitar player. But what made you decide to become a producer? I hate traveling. I detest it. I hate touring. I hated everything about it. I met my wife, and I just wanted to stay home. I wondered, “How can I still be in music and sleep in my own bed at night?” And that's how the production thing happened. Also, I realized that the most fun I ever had with being in music was the creation part of it and being in the studio. Studio A just seems like the perfect environment for you. How did you feel when you got the call from them? I had to check the calendar to make sure it wasn't April Fools, you know? I remember coming here for the first time three years ago and feeling like holy cow, there's very few places like this in the world. It certainly wasn't even on the radar that something like this would happen. Every time I walk in here, I'm still kind of dumbfounded to be here. It definitely is very humbling and honoring to be in this place. It's total luck. Every day I walk in here, I respect the crap out of it. We always keep it clean and tidy and respectful. It feels like you perform better when you come into a place like this, you know? You even wore a shirt with a collar today. I know. Today is laundry day. Don't tell anybody. Part of your MO as a producer is spending a lot of time on the other side of the glass, as a musician with the artists you’re recording. What are you playing these days? I love the old Gretschs I got, but you know some of these new Gretschs are better than the old Gretschs in some ways. Then there's so many basics: a great Tele, a great 335, a great Casino. Those are all standards, so it could be any of those at any point. But I also feel like there are some really great new guitars being made. Fender's making incredible stuff and Gibson's making some incredible models that rival some of the great stuff, as well as Gretsch. I like the old stuff, but I found myself playing some new guitars these days, which I swore I wouldn't do years ago. I'm a huge Martin fan, too. I have a 00-18 [from] 1945 I probably play more than any other guitar. That's probably my number one acoustic, but you know, it just depends. Played a really cool Collector's Choice Black Special the other day from Gibson that was devastating — as good as any old one I've ever played. Guitars are one common thing I feel like I have with all the artists. Sturgill, Stapleton, and Isbell are all guitar geeks. We sit there and dork out about guitars probably more than we work. What about amplifiers? You know, it's funny. I was talking to [Metallica producer] Michael Wagener, and he was a guy who would always have a big stack of Marshalls and a bunch of Shure 57s in front of them. But when I interviewed him for Reverb last year, he was just using the Kemper Profiling Head. What do you think about that? You know, I think it's great. I would love to be able to carry all the best amps in the world in a little digital package because come on, who wants to deal with all the trouble and expense of vintage amps? New old–stock tubes, the [conditioned] power for it, and so on. There's a lot of details to get things at their optimum. Long story short, it's really beautiful not to have to do any of that stuff. If those things sound great, I'm all in. You once told an interviewer that you could will things into happening by thinking about them. Something tells me you were willing being the resident producer in RCA Studio A, even without realizing it. What a perfect match. What are you going to will to happen next? I don't know if I can really do that. But I get really excited about working with new artists, somebody going in the studio the first time and they're young and they're excited, and they don't have walls of success around them. I'm also really excited about artists I've worked with plenty of times before. I'm real excited about the new Stapleton record coming out, I'm really excited about the new Isbell record coming out, and I just did a Brandi Carlisle record. I'm really excited for people to hear that. Jason Isbell's new record is reported to be kind of a rock and roll record. It's a bit of all of it, I think. It has a lot of rock and roll, and it has a lot of really deep moments at the same time, so. Everybody's [playing] in the room together all the time, so there's no separation. There's no way to get the [sound] bleed out, so there's bleed on all these records because there’s only really one [iso] booth in here. Sometimes we have drums in vocals, sometimes we don't. You'll do vocals right out in the room, too? Yeah. All the vocals live, absolutely all. Pretty much every record I do has live vocals. We may go back and punch a word or two later, but to me, it’s never the same when you try to overdub vocals. Are we going to have a new record from your band Rival Sons sometime this year? I don't know if it's coming out this year, but we're recording it this year. Last question. Who would you want to work with, living or dead? You know, The Beatles are my favorite band of all time, and I would say I'd love to work with The Beatles, but I don't think I could do anything as good as what George Martin and they already did. They've made the best records ever, and I would be scared to be in those shoes. I would love to work with Buddy Holly, but I think what Norman Petty did with Buddy Holly is probably better than anything I could do. I would have loved to work with Otis Redding, but I don't think I could have conjured what they already conjured out of him. It's weird. As much as I want to work with my heroes, I think I'd be definitely scared of them.